When you purchased your first home, you likely had big dreams about hosting backyard barbecues, decorating your home’s interior and finally owning the home you live in. After you moved into your new home, however, you likely soon realized that home ownership comes with additional responsibilities and chores. Perhaps one of the most significant chores pertains to landscaping. It may have crossed your mind to just let your landscaping and yard maintenance go to save time and money. However, there are five key reasons why you shouldn’t do this. Your home’s exterior appearance can affect your property value. Your taxable valuable may largely be based on the size and location of your home. However, the value of your home in an open marketplace will indeed be affected by curb appeal, and landscaping has a major impact on your home’s curb appeal. If you live in a neighborhood governed by a homeowner’s association, there is a good chance that your homeowner’s association has specific rules and requirements in place regarding your home’s landscaping and exterior maintenance. If you do not comply with those rules and requirements, some homeowner’s associations may fine you. Others may hire a third party contractor to do the work for you and send you the bill for those services. Maintaining your home’s landscaping can affect your exterior home maintenance tasks. Consider, for example, that bushes that are allowed to grow close to the home’s siding and tree limbs that hang low on the roof can damage the home. By keeping your bushes and trees trimmed back, you can prevent damage being done to your home. Your home’s landscaping features will affect water drainage on your home. With proper landscaping features in place, you can discourage pooling from developing in your yard, and you can encourage water to drain away from your home. This can prevent flooding and can prevent damage being done to your home’s foundation. Well-maintained landscaping creates a beautiful home exterior. When you purchased your home, you likely did not want to have the most unsightly home in the neighborhood. By taking care of your landscaping and making periodic upgrades to your landscaping as necessary, you can promote pride of ownership through improved curb appeal. The fact is that you can indeed let your landscaping go, but these five key points provide you with solid reasons why the steps you take to maintain your yard are indeed worthwhile. Author Bio: Joel Hunter is a popular blogger who enjoys writing and reading classic pieces of literature. He is currently promoting special offers at Global Synthetic Grass. More information please Visit the Global Synthetic Grass website. In any home, it’s inevitable that things break, and will need fixing. For that, you’ll need the right tools for the job, unless you can afford to regularly shell out for new replacements for items which, for the want of a little know-how and the right equipment, can be easily repaired. And as we Britons are renowned for our love of DIY tools, it’s something which is expected of even the least practically-minded among us. 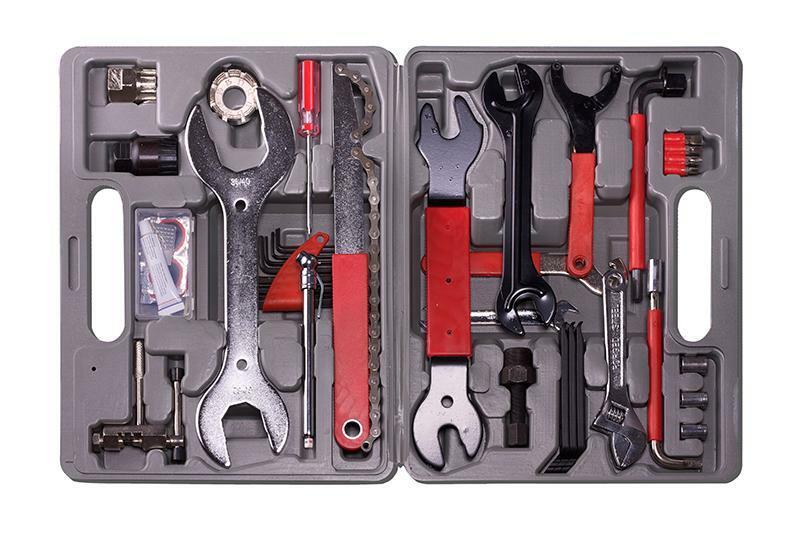 So having a good, basic kit of tools to hand can not only help save cash – it might even lead you into starting to enjoy fixing things, and want to take on more ambitious projects. Several other Items can be classed as useful but not essential, and these include an adjustable spanner, for tightening – or loosening – any bolt; a can of lubricant spray, to help extricate tight screws or get rid of squeaky wheels; and finally, a tape measure, because there are lots of items you’ll need to buy for the home – such as carpets and blinds – for which you’ll need to know exactly how much you need. Once you’ve got all these basic items, you should feel a little more confident about at least tackling the essential DIY jobs which will crop up. And as everyone knows, if you stay on top of these jobs, your conscientiousness will pay off in the long run, as others see that you’ve got a well-maintained home. This post was contributed by Janice Lincoln a freelance writer specialising in topics such as home repairs, finding appliance repair companies and dealing with repairing washing machines. Before you move into your new house, you might want to consider some additional features that will improve the quality of your home. The air inside your home can help keep you warm in winter and cool in summer. Proper air circulation is essential to make sure the air inside the house is clean and free of bacteria. When heat is circulated throughout a house, the air inside can actually contain more pollutants than the air outside. To help keep the inside air clean, a heat recovery system can be used. This system runs on a two hour cycle to exchange the air inside the home to keep it free of harmful pollutants. Similar systems can be installed for comfort cooling and proper ventilation. Your new home might benefit from some new furnishings. Wood is a classic material which has been shown to stand the test of time. There are beautiful pieces of furniture available in oak or pine, which can be used to enhance the décor of any room. A dining table set made of solid oak can add a touch of sophistication to the room it is used in. Pine bed frames are available in a variety of styles and sizes to meet the needs of any homeowner. Any new homeowner should purchase insurance to protect their house in the event of some type of disaster. Insurance policies can be designed to meet the needs of those who purchase them. Some financial companies will offer services which not only provide homeowners with insurance coverage they also provide the financing needed to purchase the home in the first place. Home loans and mortgages can also be designed with affordable rates and payment plans to make purchasing a new home easier to do. Organising and storing beauty products is a daunting task faced by most of the people. Most of the beauty products are to be protected from moisture, direct sunlight and some cases from our own kids. Hence there is a need to have furniture where all these products can be neatly organised without cluttering the room. A dressing table serves this very purpose. A dressing table is a furniture which is usually given last priority while decorating bedroom. Normally people first purchase bed, wardrobe and chest which is considered to be an integral part of bedroom and if there is extra space then they go in for a dressing table. Since most of the modern villas and apartments are in short of space, wardrobe with storage and built in mirror is becoming a trend. But for those of us who consider a dressing table not only as a necessity but also a décor piece, there are different types available in the market. The dressing table can be large, draped and kidney shaped table or it can be antique Victorian and French table. The Victorian and French table are characterised by their elaborate mirror and beautiful carvings and are ideal for large rooms. Art-déco tables are ideal for small rooms. There are different ways in which dressing table can be decorated. If the table is antique or French then it is better to leave it as such as the table itself acts as a décor piece. Other types of table can be decorated with jewelry boxes, candle holders, photo frame, perfume etc. Different types of mirror like half length, three faced, oval, rectangle etc are available. It can either come as a set along with the table or in some cases it needs to be bought separately. While selecting the table one should be careful that it matches the décor theme of the bedroom. If the bed, wardrobe etc are antique, then one should go in for antique dressing table. If white bed andwhite wardrobeis used then the dressing table should also be white in color. Dressing table can be made of different types of wood. It can be made of hard wood like birch, oak and teak or it can be made of soft wood like pine and cedar. Even though hard wood is more expensive than soft wood, it is always better to go for hard wood tables as these are long lasting. A careful selection of the table taking into consideration the theme, size, budget etc can make your bedroom a place of envy. Thanks to the numerous online shopping portals available, purchasing a dressing table is no more a tedious job. At the click of the mouse your dream dressing table is all yours. Author Bio: The author Susan Johns is a freelance content writer specialising in home/interior décor writing. With over 5 years experience in the field of furniture and home decor, she has written numerous articles and blogs in this area. Please visit her blog http://decoreview.com.